Jessabella Reads: CHARISMA BLOG TOUR: Review + "10 Random Things About Jeanne Ryan"
CHARISMA BLOG TOUR: Review + "10 Random Things About Jeanne Ryan"
Welcome to my stop on the CHARISMA blog tour hosted by Penguin Teen. 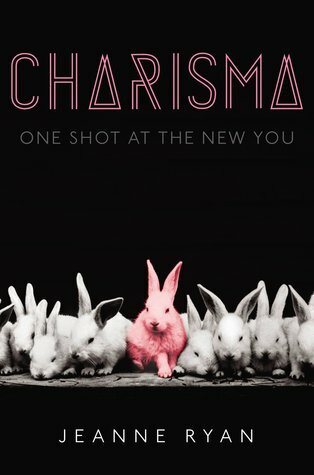 Today I have a "10 Random Things About Me" guest post from Jeanne Ryan & my review of CHARISMA!! The first thing that drew me to this book was the cover. Yes, I know..but you have to admit that a line of rabbits with white fur and only one pink rabbit in the middle...it's pretty unique for a YA cover! Then the tagline under the title, "one shot at the new you", and I just HAD to know more! I dove into Aislyn's world, and didn't come up for air until the very last page. 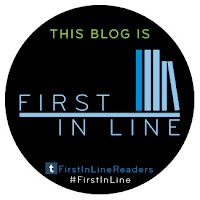 I loved the first person POV as it allows the reader get into her head and feel how crippling her personality disorder truly is. Being able to read Aislyn's thoughts and emotions from her perspective was what really helped me to connect with her and her story. The story was fast-paced and action packed, yet did not lack the "heart" that some science/thriller novels lack. I found the science parts of the book to be really interesting, thought-provoking but I never felt overwhelmed by it which may have slowed the story down. Jeanne Ryan gives just enough information for the reader to understand gene therapy, but not too much that it confuses the reader. I loved reading about this controversial subject and the positives versus the negatives effects it could have in our world. If I could have had a dose of Charisma when I was in high school, my life would have been a whole lot easier...without the side-effects of course! I have eleven brothers and sisters. Two of my brothers have the same first, middle, and last names. When I was a teenager I lived in a house that had supposedly been owned by a gangster. We found a safe behind a wall panel in the basement; however, after getting a locksmith to open it, found it filled with…nothing. I spent most of my childhood in Honolulu and Seoul. To this day, wearing shoes inside a house feels strange to me. I flunked my first drivers test by going the wrong way down a one-way street. And after the test, I locked my keys in the car. My favorite color has been purple since I was ten. I often have to consult my birth certificate when spelling out my middle name, even though it isn’t a super unusual one. I can shimmy a hula hoop from my knees to my waist to my chest to overhead, and back down again. My first kiss was with the boy who lived next door. I’ve lived all over the world, raised in a family with eleven brothers and sisters. I spent my early childhood in Hawaii and the rest of my growing-up years trying to figure out a way to get back there, with stops in South Korea, Michigan and Germany along the way. Before writing fiction, I tried my hand at many things, including war game simulation and youth development research. But I decided it was much more fun to work on stories than statistics. These days, I still love Hawaii, but have found my home under the moody skies of the Pacific Northwest. Not sure I understand where the bunnies come from - but I haven't read the book, either! And I do love bunnies. lol Er... why do two of your brother have exactly the same name? Wouldn't that be horribly confusing?? ?